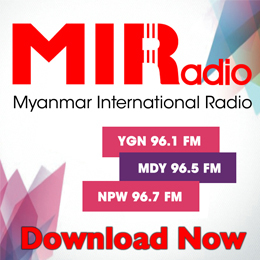 U Tin Maung Win, chairman of Pyithu Hluttaw Transport, Communication and Construction Committee told MIRadio that Myanmar Real Estate Services Law will be enacted by the Pyidaungsu Hluttaw in three months. 2019 YCDC Municipal Election can be considered as the path to genuine democratization in Myanmar. It is the first time that the citizens above 18 years old, adult age are allowed to vote. The concert named “The New Mission” was conducted in the very pleasant evening of 29th March at Goethe Institute, Yangon. It is the performance of the collaboration of the western classic, rock and Myanmar Hsaing Waing. Myanmar textile manufacturing industry used to export the quality textiles in the past. Now, the current condition of Myanmar textile manufacturing industry has got only imports from other countries, especially China.